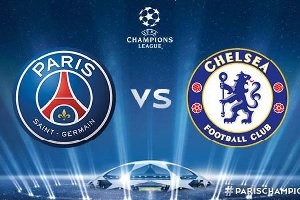 Paris Saint Germain will play against Chelsea in the Champions League. On one hand we have PSG -a team without a loss in the french league. They lead comfortably with 70 points, while the second team is with 46 points. PSG finished second in the group stage, because Real Madrid was better in the home game. On the other hand we have Chelsea, they have finished 1st in their group. The problem is that their group was one of the weakest and they struggled till the end to even qualify. They are slightly improving in the Premier League, but they are far far away from the form of last season. PSG is better at the moment and they are always a difficult opponent for Chelsea in their best form, which is not the case at the moment. The french team will win this clash!